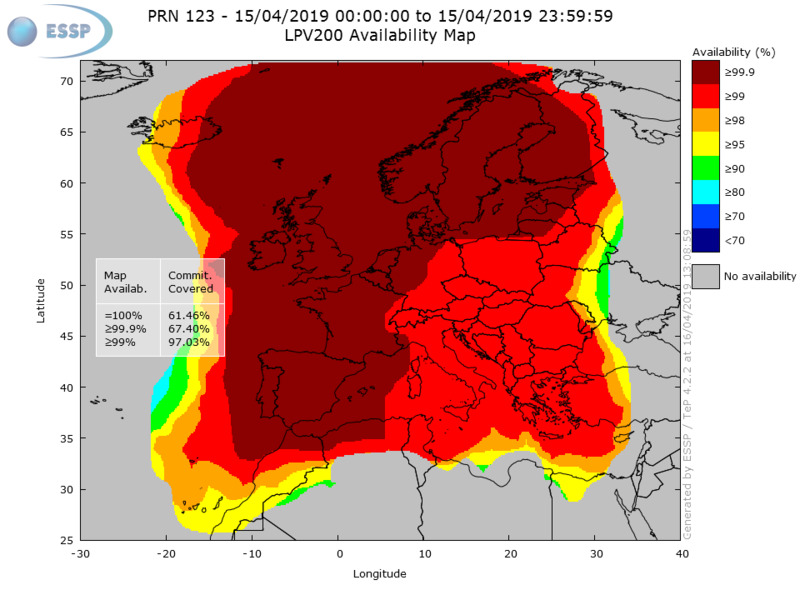 EGNOS LPV200 Availability is defined as the percentage of epochs in which the Protection Level are below Alert Limits for this LPV200 service (HPL<40m and VPL<35m) over the total period. Additionally, EGNOS LPV200 performance is also limited due to existing accuracy requirements for this service. Consequently, grey area shown in maps below also includes the area in which LPV200 accuracy requirements are not fulfilled. The pictures present the daily EGNOS LPV200 Availability for the operational GEO satellites and their combination. Please, select a date in the calendar field to see the EGNOS LPV200 Availability for such date.